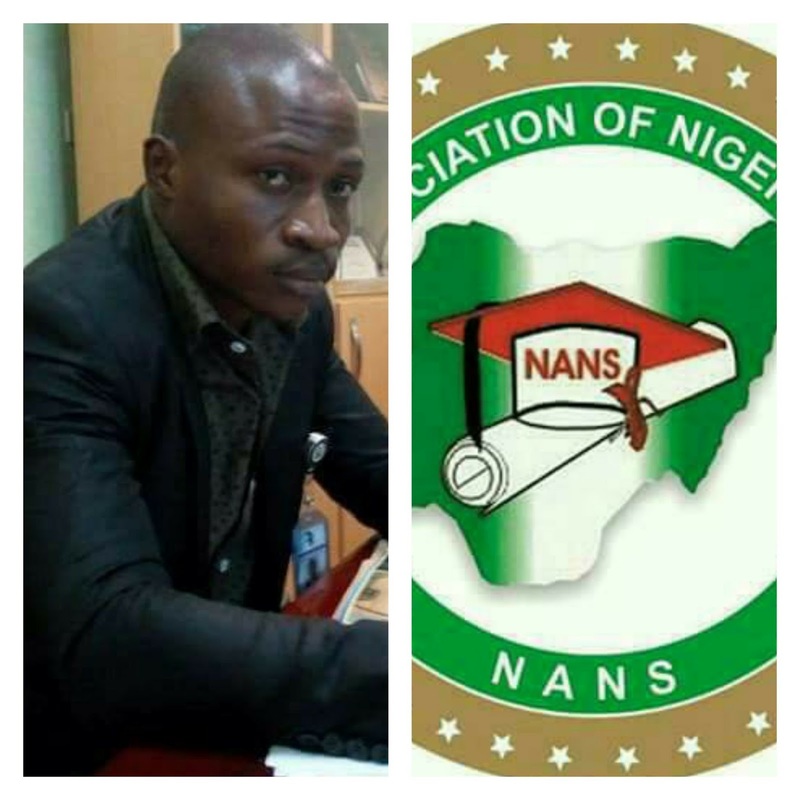 NATIONAL ASSOCIATION OF NIGERIAN STUDENTS ( *NANS* ). This Day, October 24th, 2017 at Federal Polytechnic Offa, Kwara State. It is globally accepted that Greeting is an expression of courtesy and moral in every gathering of intellects, as such I bring you Solidarity greetings in the spirit of Aluta with high level of maturity, decorum, decency, diplomacy and of course selfless humanitarian service to the development of dear student community and Nigeria nation at large, familiarization is key to one's acknowledgment of the past, the present and the future definition of the parties in familiarity tone therefore I wish to begin with my brief profile as active citizen with moral concern for the betterment of my immediate consistuency (Student) and the United, indivisible prosperous Nigeria. By name, I am Ambassador Salahudeen Adeyemi Lukman popularly known as Aluta Inspector General #AIG, I hailed from Offa Local Government area Kwara State, North Central Nigeria, I possessed National diploma in Mineral Resources Engineering from Kwara state Polytechnic Ilorin between 2006-2008, Higher National Diploma in Mining Engineering from kaduna Polytechnic between 2010-2013, victim of extension of one year on the account of ASUP 2011 & 2013 local and National strike respectively and also a victim of Victimization as a result of active involvement in unionism on campus ( *HND Certificate withheld for months* ) a Diploma in Computer Science, from Federal Polytechnic Offa and a post Graduate Student of Institute of Professional Studies, department of Civil and Environmental Engineering Kwara State University Malete, Kwara State with registration number KWASU/TP2016/015404. I served the Federal Republic of Nigeria as Youth corp member between Nov 2013 to Nov 2014 in Suleja Local Government Area of Niger state, as an activist, Comrade and concern young citizen of Federal Republic of Nigeria, I am active member of numerous Student /Youth organizations, NGOs and CSOs National, Regional, Continental and International base among which are National Association of Polytechnic Students *NAPS* , National Association of Nigerian Students *NANS* , National Youth Council of Nigeria *NYCN* , New Generation Ambassadors of Nigeria *NGAN* , Northern Youth Assembly of Nigeria *NYAN* , West Africa Polytechnic Students Union *WAPSU* , West African Students Union *WASU* , West Africa New Generation Initiatives *WANGI* , ECOWAS YOUTH Parliament *EYP* , Africa Youth Economic and Political Network *AFRI-YEP* , Pan African Student Democrat, All African Student Union *AASU* , International Youth Peace Initiative *IYPI* , and Young Africa Leaders Initiatives Network of Former President Barack Obama of United State of America known as *YALINetwork* . I am a certified Peace and Conflict Resolution Ambassador of West Africa New Generation Initiatives WANGI of Accra, Republic of Ghana. I have been opportune to served and contested various leadership position both elective and appointment in Unions /Associations with imprint and laudable achievements, ranging from Assistant Secretary General, Association of Mineral Resources Engineering Students *AMRES* Kwara State Polytechnic Ilorin chapter 06/07, Sport Director II, Student Union Government *SUG* Kwara State Polytechnic Ilorin 07/08, Sport Director Offa Student Union *OSU* National Headquarters 07/08, Special Assistant on Special Duties to *NAPS* National President Comr. Makus Akinyosoye 08/09, Student Union Government *SUG* Kaduna Polytechnic Welfare Director Aspirant 09/10, Offa Student Union National Headquarters *OSU* National Presidential Aspirant 09/10, Vice President External Affairs National Association of Polytechnic Students *NAPS* 10/11, Pioneer Chairman/Initiator of Kadpoly Concern Student Forum and Emancipation Forum For Concern Comrade *EFCC* Kadpoly, a platform initiated to front agitation for an end to longest ASUP internal strike in year 2011 in absence of no viable Student Union Government and campaign against religion and tribal politics in Kadpoly student unionism respectively, Legislative Aide To *NANS* Senate President Kolade Olaoluwa (Uncle) 11/12, Senate President National Association of Polytechnic Students *NAPS* 13/14 session, National Presidential Aspirant National Association of Polytechnic Students *NAPS* 14/15 session and first Nigerian Student to lead West Africa Polytechnic Students Union *WAPSU* as 3rd Regional President. As a graduate of YALI leadership Class, I possessed strong passion for community development services, my generation evolvement in politics and business of Governance, I decry the high level of immorality among our generation as such I rise for redirection of ideas and revival of all youth and student movement in Nigeria including *NANS* , As a crusader for youth inclusion in Governance, my participation in campaign for #NotTooYoungToRunBill become obvious, my land mark achievements while in office as NAPS official include _stoppage of Re-Introduction of Jamb Result checking scratch card, Agitation for Review of #100 ATM charges To #65 per 3 Transaction, HND/BSc Dichotomy removal Struggle to a logical end which is now awaiting full implementation across board as already began by Kano State Government, Reinstatement of Numerous Student Leaders and Student union Government, unbiased and constructive engagement of ASUP and Federal Government during ASUP longest nation-wide Strike in 2013 to bring an end to the crisis, among others_ achievement numerous to mention. In reward for these giant strides, I received an Outstanding Leadership Award from Student Union Government Federal Polytechnic Kaduna, kaduna State and Federal Polytechnic Bida Niger State . In the spirit of revival, restructuring and redirection of struggle to reclaim the position of NANS and that of our generation as young active citizens with focus among the committee of national student body in the west Africa region, Africa continent and world at large, haven understood the rudiment and necessary tools required to reposition *NANS* for the betterment of all (Students, leaders & Cadres), I offer my self for selfless service to rebuild our dear Association. NANS is becoming a prominent stain/obstacle on the Nigeria youth development road map and struggle for youth inclusion into business of Governance in our dear nation, the need for complete overhauling of all section become imperative in other to building full confidence of elders both in struggle and society politics to enable completely entrustment of leadership/Governance affairs to young breed haven acquired the needed experience to pilot the association for a befitting coordination and effective representation, I declare to run for the seat of NANS National President. It’s essential the use of NANS as compensation tools among old cadres be brought to an abrupt stop, as well put an end to the use of the student body as political party puppet, it’s my mission to bring back the spirit of Defunct *National Union of Nigeria Students NUNS* , the true voice of the voiceless Masses, an ideological inclined student body with repute, integrity and locus standing in all sphere. My aspiration is born out of passion to correct bad impression about our generation as youth and student who has been a victim of misconception and perceived as not ready to lead following poor coordination of our activities, and misrepresentation of youth and student at all levels, my consuming passion to lead my generation out of *Observation Team * to *Leading Team* remains intact, the focus is to rebuild the NANS of our dream, my programs and ideas towards the Rebranding our dear Association are my drive for this aspiration. It's of great importance I state categorically my *5 POINT* *Agenda* which I regarded as _My Words, My Bond, My Bond, My Drive for better NANS of Our Dream_ . My Revolutionary Agenda is coined around the Theme: *The Birth Of Freedom And New Direction* . It's also a rebirth process for a NEW, ORGANISED, CORDINATED AND CONSISTENT NANS. 1. *Administrative Restructured NANS :* The priority of my administration shall be the necessary support to the senate to have the *NANS Charter of Demand* (CONSTITUTION) reviewed to meet the reality on ground, Target of this agenda is to re-structure NANS for conducive administrative operation which is lacking for long, it is gearing to Build Synergy among all arms of NANS,( JCC, Zonal, Stakeholder Forum & National), all her sister unions NAUS, NAPS, NACES and All the 36 State indigenous state Associations National Bodies to establish unitary voice for the entire Nigerian students. My leadership shall introduce *EXPANDED NATIONAL EXECUTIVE COUNCIL* to comprise All National Executive Members, 3 Zonal Exco each, (Coordinator, Secretary and PRO), 36 state JCC Chairmen including FCT, 36 indigenous National President of State indigenous Student bodies and FCT, 4 Exco From Sister Unions *NAUS* , *NAPS* and *NACES* , (President, Senate President, Secretary and PRO) and Two reputable stakeholders from each Zone which shall meets at least every 2 months (60 Days) to take decision on matters of national interest as it affect Generality of student in the Country. This will give room for direct interaction between NANS and all other student structures as well discourage one man show leadership style at all levels. 2. *Image and Integrity Rebranded NANS :* It's of capital essence we rebuild the image and integrity of NANS to regain her position as true Pressure Group, voice of the voiceless, hope of the common man and true representative of teeming Nigerians students by reactivating all working relationship with other key stakeholders, departments, agencies and Unions in education/ labor force in the country such as *NUC* , *NBTE* , *NCCE* , *ASUU* , *ASUP* , *COEASU* , *NUT* , *NLC* , *TUC* and other staff Unions including Committee of VCs, Council of Rectors/Heads of Colleges of Technology and Council of Provost to harness coordination for the benefit of our dear students as well prove the ideology base orientation of NANS far from award giving and political contractor the association is perceived to be known for. 3. *Academic, Leadership, Moral and Economic Program Oriented/Financial Independent NANS:* My leadership shall dwell on programs, Seminars, Conferences, Workshop and Expo including quiz / debate competitions among higher institutions and Technical/Vocational/ Inventory project expo to improve student Academic, Technical, Leadership and Economic quality through collaboration with public and private sector. My Leadership shall introduce OPERATION KAI (Campaign Against Immorality) which shall center on fight against Cultism, Examination Malpractice, Drug Abuse, Indecent Dressing, Female Student Sexual Harassment, Bribery, Corruption and other social vices on and off campus to improve moral value of teeming Nigerian students and her leadership as well enhance relative peace, harmony, peaceful co-existence and academic calendar stability which often result from some of these menaces. Financial prudence and transparent leadership shall truly attract 100% compliance of all member union to promptly pays their capitation due, the establishment of central account for NANS With the 3 constitutional signatories, President, Financial secretary and Treasurer with the consent of Expanded National Executive Council in alliance with council of heads of our tertiary institutions shall enhance the remittance of the annual due of all member unions directly to NANS central account From TSA when each student union Government gets their funds while my leadership shall ensure fair sharing among all arms of NANS (JCC, ZONAL & NATIONAL) as well get NANS ENTERPRISE registered with *CAC* to facilitate other legitimate business to take NANS off usual begging STRIDES and return our independent action, thinking and reasoning as an intellectual base Association of young citizens/students . 4. *Rapid, Responsive and Responsible NANS:* The Responsibility of our dear Association to the student wellbeing on and off campuses remain sacrosanct as such *Rapid Campus Intervention* to ensure uninterrupted and smooth academic Calendar, Reinstatement of all Politically victimized students and student leaders, reinstatement of democratically elected Student Union shall be prioritized as information and decisions shall be gathered/taken from Expanded Executive Council while special committee(S) will be put in place to see to all matters of urgency in rapid, responsive and responsible manner. 5. *Policy And Partnership Driven NANS:* Under my watch NANS shall strive to increase employability of student leaders particularly Student Union Government Presidents (Senators) with clean track record of service, my leadership shall establish the possibility of making this clause a policy 'through the council of heads of various institution, departments and agencies both in private and public sector in Nigeria (Every Student leaders must have a preferential consideration for Employment) this is to increase the employability of student leaders as well to fulfill the Vision 2042 where all head of tertiary institutions in Nigeria in the Next 25 years shall be a product of NANS in order to implement *TOTAL EDUCATION REFORM* , as victim of commercialized education we must end it in our generation, for the benefit of upcoming generation and generation unborn to access more quality and affordable education in Nigeria. *Champion the course of full implementation of HND/BSC certificate Disparity* as earlier started during my days in NAPS, *Campaign for adequate funding of Education* particularly adherence to UNESCO 26% recommended budgetary Allocation for education by Nigeria Government at all level. Call for review of some Government programs and policies to meet the reality of 21st century, ranging from *NYSC* , *JAMB* , Student *Industrial Training Scheme* and *Carrying Capacity* of Tertiary Institutions, Prompt And Timely offer of *Tetfund* and *CBN* Intervention fund including Compulsory *CSR* on Campus by all Multinational and National companies Nigerian Students Patronizes among others. 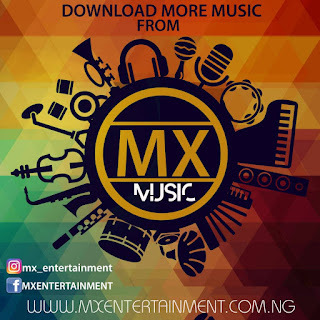 NANS shall equally engage in numerous partnership with cooperate organizations both public and Private sectors to attract numerous benefit for Nigeria students ranging for Hostel Facilities on *Build And Transfer,* Public Private Partnership *PPT* and more particularly discount services on *Road Transportation* , *Air Transportation* , *Voice and data Communication* , under my watch as NANS PRESIDENT, students Will *Call @ 1 Naira Per MINUTE* via CUG package among others , also a close tie with *National Assembly* to realize the passage of bills that are of student benefits such as an act seeking the re-inclusion of Monotechnics as beneficiary of Tetfund Intervention. Bill seeking for an Independent for student unionism on campus. Bill Seeking for education loan for Nigerian Students. Bill seeking an end to Polytechnic HND certification discrimination and review of polytechnic act. NANS under my watch shall seized to be a political tools for any politician or any political party, rather utilize the political credibility and electoral value of Nigeria student to negotiate student leaders into power, we shall openly mobilize student for electioneering process but independently to attract a befitting negotiation as political partner instead of indiscriminate, individual and sectional declaration of support for politicians and political party for selfish gain that we use to have in the past. Although, in the Hand of NANS Power Brokers and the Deciding Factors, I may not be the first or second option, but surely amongst my Generation, contemporaries and lover of better/Student oriented NANS, I remain The *BEST OPTION* . In appealing tone to strike balance between the duo, I remain the *Best Alternative To Promise Land* , where NANS of our Dream shall Become a reality. With the above mentioned agenda, *The Birth of Freedom and New Direction for Nigeria Students* is here, a better and formidable NANS with one laud and united voice is possible, just as our future and life after student unionism on campus is guaranteed, I hereby seek your maximum support in all ramification to make this project work for me to answer the name NATIONAL PRESIDENT OF NANS. 0 Response to "AIG for NANS President"